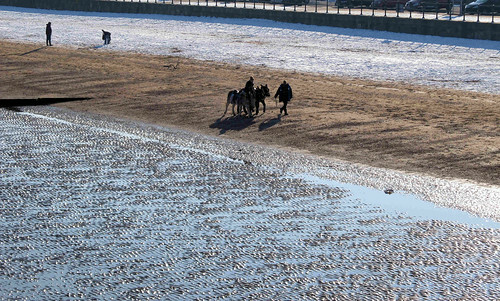 Donkeys in the snow at Cleethorpes. A walking haystack, a donkey carrying hay, near Katapola. A donkey on the road leading to Minoa, near Katapola. Note that the dionkey is wearing a traditional Greek wooden saddle. Donkeys walking to the beach in Cleethorpes. 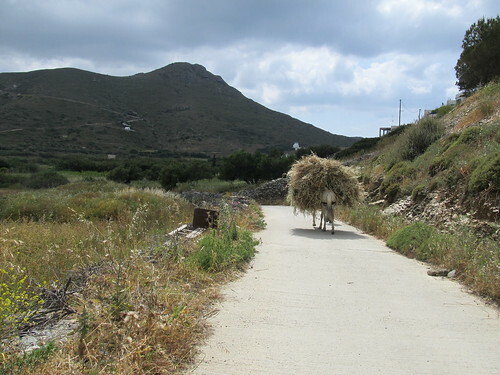 A donkey, with a traditional Greek wooden saddle, at Xilokeratidi on Amorgos. In the background you can see Katapola.